Entries and premium list will be available on Zooza.com on January 1. 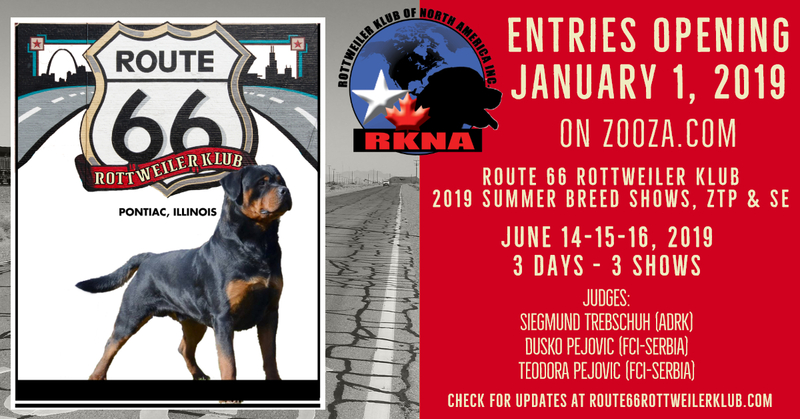 Check back here or on our Facebook page @Route66RottweilerKlub for more information soon. The event will be held at Chautauqua Park, 100 E. Park St., Pontiac, IL.